As the process of globalization continues, more and more people migrate to countries of a different language to seek better and/or cheaper medical care, which brings out the thriving of the medical tourism industry. During the internationalization of the medical service market, arises the huge need in high quality and timely medical translation, either in oral form or in written form. As long as the Chinese translation is concerned, I have noticed an increasing number of requests regarding the translations of medical records including case reports, expert opinions, lab reports and diagnostic imaging reports, etc. While the medical record translation as a genre has its own characteristics, the imaging report sub-genre is especially unique in terms of terminology, decoding and rendering. 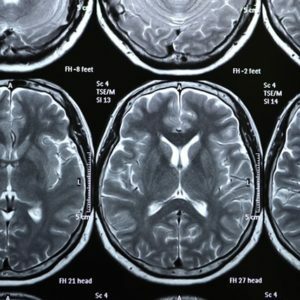 In this blog article, I will summarize my personal experiences in translating diagnostic imaging reports from Chinese to English and offer a few tips and tricks for tackling difficult issues. Diagnostic Imaging Reports are written documents communicating the findings of medical imaging procedures for diagnostic purposes. 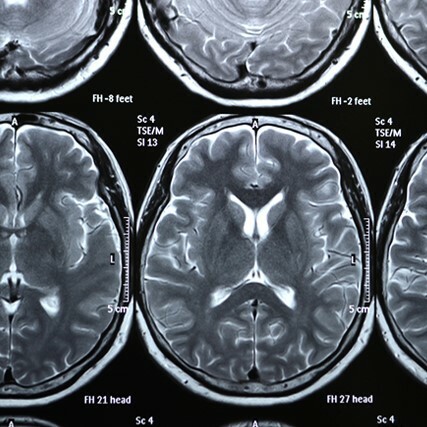 Such imaging procedures use electromagnetic radiation to produce images of internal structures of the human body for the purpose of accurate diagnosis. Diagnostic Imaging Reports include X-ray report, CT report, nuclear medicine report (PET, SPECT, etc. ), MRI report, and ultrasound report. Each type of imaging report has its own set of commonly used terms and expressions. The primary goal in this type translation is to ensure an accurate rendering of the imaging findings from one language to another. Every sentence, every word and every number should be considered during the translation, thus no omission, under- and over-translation is allowed. The positive and negative findings are equally important. The format of the file and the affiliating data, such as name, date, time and items in the header and footer, should be retained in the translated file in the target language. When translating from Chinese to English, bear in mind that sentences cannot be determined by punctuation only, but shall be judged by the meaning groups. Imaging reports in Chinese are usually very concise, cases of subject omission, mixed subjects, and large strings of small descriptive parts are very common, which makes literal translation disastrous. Therefore, it is important to breakdown the sentences to meaning groups and then write down such meanings in English with clear sentence structures. This point will also be illustrated bellow with examples. In imaging reports as well as in other medical records, a sentence with a Chinese period “。” at the end is actually a paragraph describing related findings of one physiological location, one group of related lab results, one group of symptoms and signs. The Chinese sentence in this example describes a group of CT scan findings in the chest. Sometimes, it is nearly impossible to translate one Chinese sentence into one English sentence. In this case, we need to find out what the Chinese sentence is trying to communicate and divide the meanings into groups that can be rendered into English sentences. 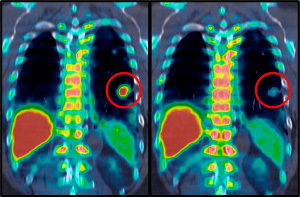 In the example above, there are two findings on the chest CT: a pleural thickening (highlighted in Yellow) and a soft-tissue density (highlighted in Grey) for which two separate English sentences are generated. Except the core finding highlighted with color grey, the text highlighted with other colors are all restrictive or descriptive sentence parts that are further communicating about the two major findings. To form a more natural English sentence, we sometimes need to combine these parts or re-order them. The sentence part with one color in the Chinese text corresponds to that with the same color in the English text. Just by comparing the color coding between the left and the right, you will notice that there is some re-ordering going on. There are certain unique expressions in Chinese medical writing. For instance, when translating CT reports, you will frequently encounter the word “影” as in “高密度影”，“低密度影”, “软组织密度影” and “透亮影”。 While it may not be wrong to translate “高密度影” to “a hyperdense shadow” or “a shadow of hyperdensity”, it is more natural to just say “a hyperdensity (plural form: hyperdensities)”. The same goes with “a hypodensity” for “低密度影”, “a soft-tissue density” for “软组织密度影” and “a radiolucency (plural form: radiolucencies)” for “透亮影”。Therefore the word “影” does not need to be translated per se. Another example is the term“异常信号灶” in MRI report which in English we usually read “foci of signal abnormalities” instead of “foci of abnormal signals”. There are a lot of such Chinese terms that have a fixed way of expression in English. I will try to collect such terms and post them in the table above when updating this blog article. For the word “可”, such as in “形态可” and “大小尚可”, I usually translate it into “adequate”. For the word “欠” as in “欠均匀” and “欠佳”，I generally use “inhomogeneous” and “inadequate”. I have created a few sample translations on my business webpage for translations of different types of imaging reports, i.e. CT, ultrasound, MRI, and PET reports. To view such sample translations, please follow the link “Sample translations for imaging reports Chinese to English“. For a list of medical imaging related terms commonly used in Chinese-English translation, please open blog article “Chinese-English Terms in Diagnostic Imaging”.